Are you a Mozilla Firefox user? Well I have some news for you, there is a new version out, and it has new (and improved) features. 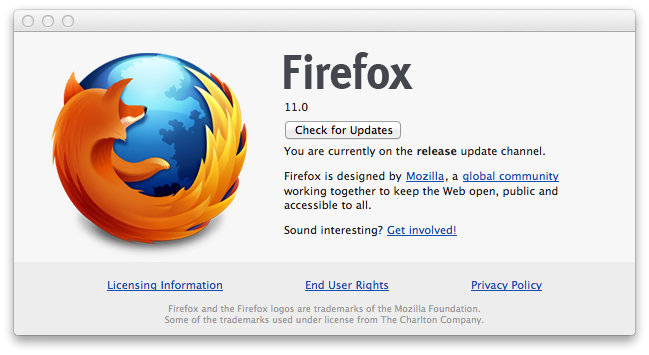 Firefox 11 now allows you to migrate history, bookmarks and cookies over from rival Chrome. Additionally, you can now sync extensions between your computers. On the dev side of things, you'll have access to Style Editor for CSS tweaks, file storage in IndexedDB and SPDY protocol support for speedier page loads. Eager to take it for a spin? Check your browser for the updated goods or get it directly via the source link below. If you don't know about Firefox, then click here to catch up on the info about it.